BookBrunch offers advertisers the opportunity to engage with publishing decision-makers and influencers in the UK and internationally. We offer a range of digital and print advertising and sponsorship options, enabling advertisers to reach a loyal and targeted audience of publishing professionals. The entire spectrum of the trade is represented, from major publishing houses to independent publishers, chain and independent retailers, agents and scouts. 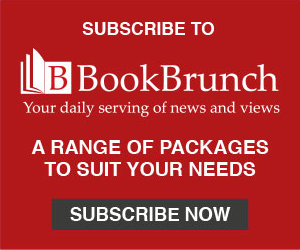 In all, nearly 6,000 book trade professionals make BookBrunch their daily destination for industry news. Do you have a significant product launch, an important piece of research or white paper that requires long-form copy treatment? Sponsored Partner Emails and Posts are a an effective and highly targeted medium to highlight your most important communications. Sponsored Partner Email - £400 per send (1 day) to our c. 6,000 subscribers. Make sure your products and services are seen by all the top professionals in the international book industry by advertising in the Show Dailies at the London and Frankfurt Book Fairs. BookBrunch collaborates with Publishers Weekly to produce high quality daily print editions reporting rights deals, examining the latest trends in publishing, and covering all the news of both fairs. Engage with an elite group of publishing’s MDs and CEOs at our quarterly breakfast briefings. Events are by invitation only and limited to 30 places. Sponsorship package is available on request. Have a vacancy to fill? Why not use BookBrunch? Please supply a linking URL when supplying artwork.